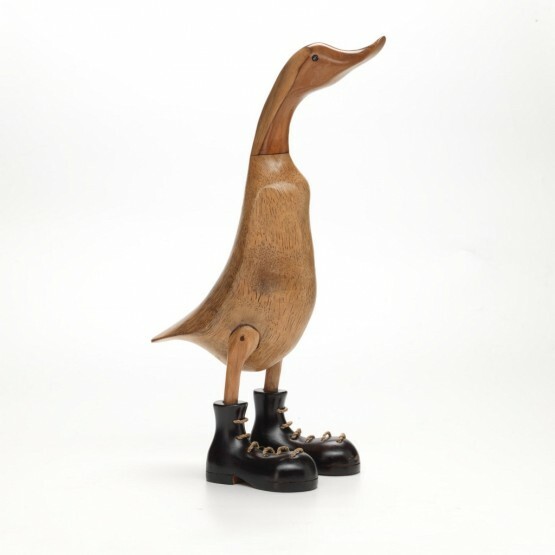 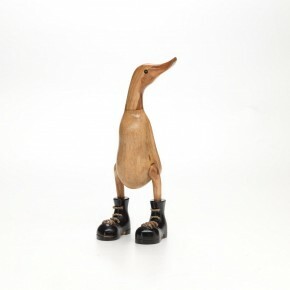 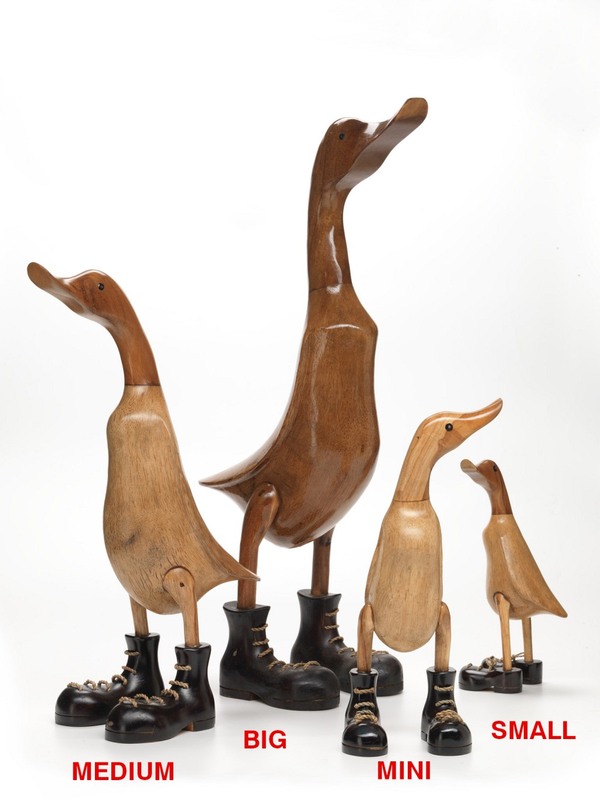 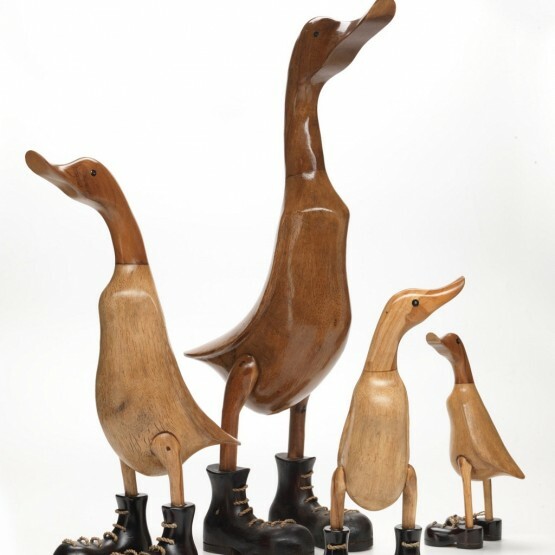 Goose Wooden handmade height varies from 44 to 46 cm. 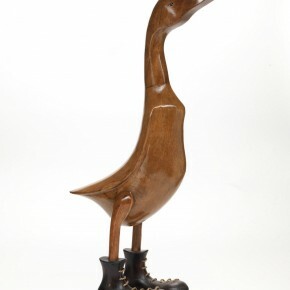 Ornament animal The woods used are coconut palm to her stomach and walnut, cherry neck and head. 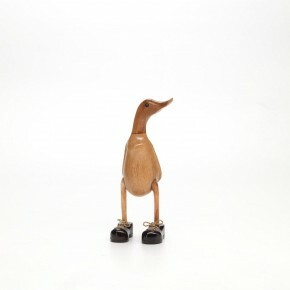 The head can be straight or to the right or left.